Do you want to find a job that you're good at, but also makes you feel fulfilled, and allows you to provide for your family? 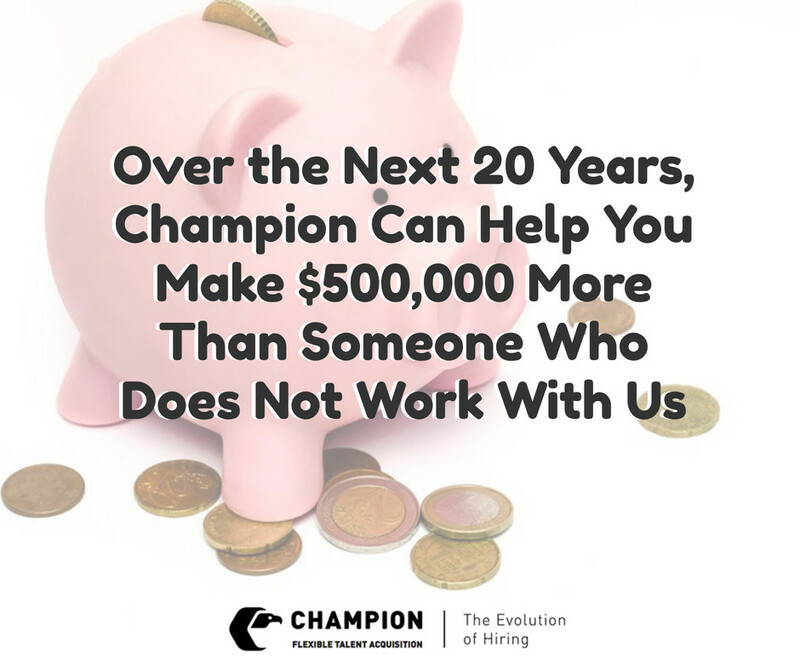 By working with Champion, over the course of 20 years, you can earn $500,000 more than someone who does not follow our advice. Moreover, we specialize in matching you to the right employer, which will lead you to a better life! At Champion, we want to make sure that every candidate who comes to us understands that our purpose is to help them get a good job. But we don't stop there! A good job is great, but we want to make it even better for you, which will allow for better choices in life. The real key though is that we can't make your life better without your cooperation. For those who do come to work with us, we can help them find the right choices to help make their life better. 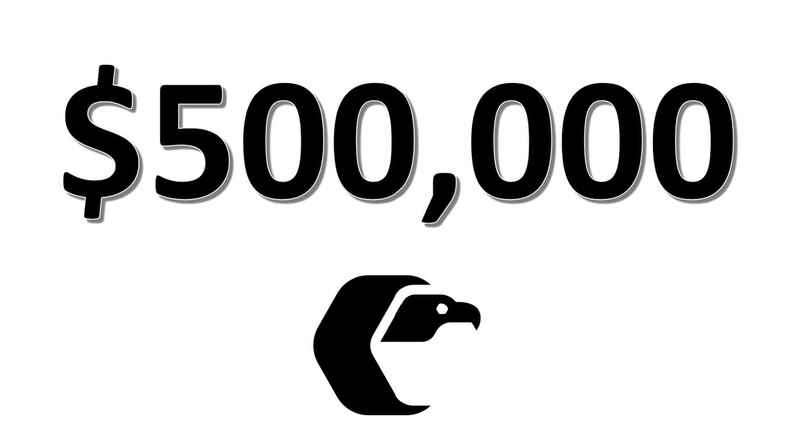 By listening to our advice, you can earn $500,000 more than someone who does not work with us! Our advice will help you by giving you more options and better choices for a better life. It starts with listening to your mentor and coach. They begin as your recruiter at Champion, and then they become the person that guides you. They show you the fundamentals of the working world and make sure that you’re on the same page as your potential employers. We are a flexible staffing firm that specializes in talent acquisition, and unlike a staffing agency, we start with all of our candidates in-person and work with them in-person the whole time! In addition, we are different from a staffing agency because we work with both the candidates and the employers. We are a consultant to both our hiring clients but to our candidates looking for careers. Thats what we do, and we do it better than anybody else. If you are looking to make half a million dollars over the next twenty years, but you don’t know where to start, contact us at Champion, and we can provide the best advice from one of our caring mentors!